The number of downloads mysteriously rose again for my iphone app iStethoscope Pro and I had to search the web to find out why. 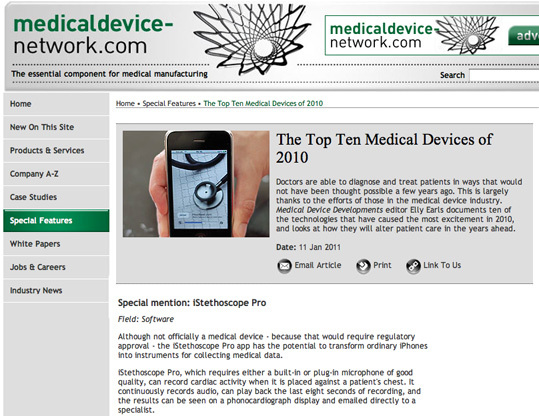 It turns out that it was mentioned in the feature by medicaldevice-network.com on the top ten medical devices of 2010. 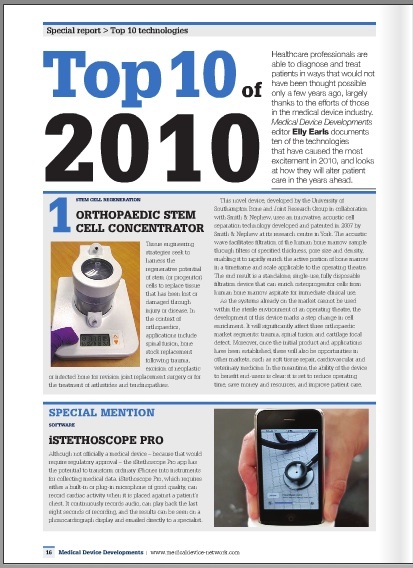 It also appears in the printed copy of the medicaldevice-network magazine, viewable online here. I do remember being contacted about this a couple of months ago. I had to make it clear that the app does not constitute a medical device (although we are in discussions with Apple and others about how to achieve this) and so did not qualify for their list. Nevertheless, they decided to mention it anyway! I am honoured they have done so. 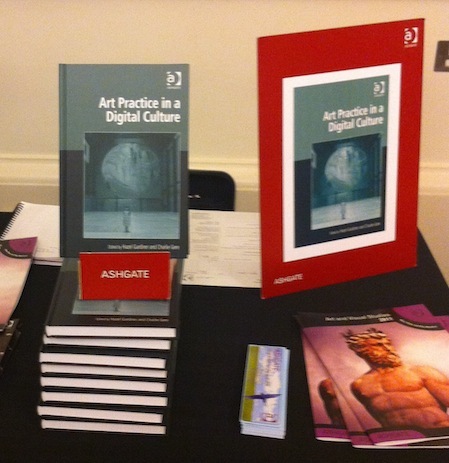 On Friday I was invited to a book launch of Art Practise in Digital Culture - a book containing work on art-science collaborations that were inspired by the TESLA group at UCL. It was nice to see everyone there, and I realised that the artwork Fugue that I helped create with Gordana Novakovic is described in the book, with pictures!